GATEWAY, CO OCTOBER 8, 2014: The 2014 Baja 1000 has now become a course for battling cancer. 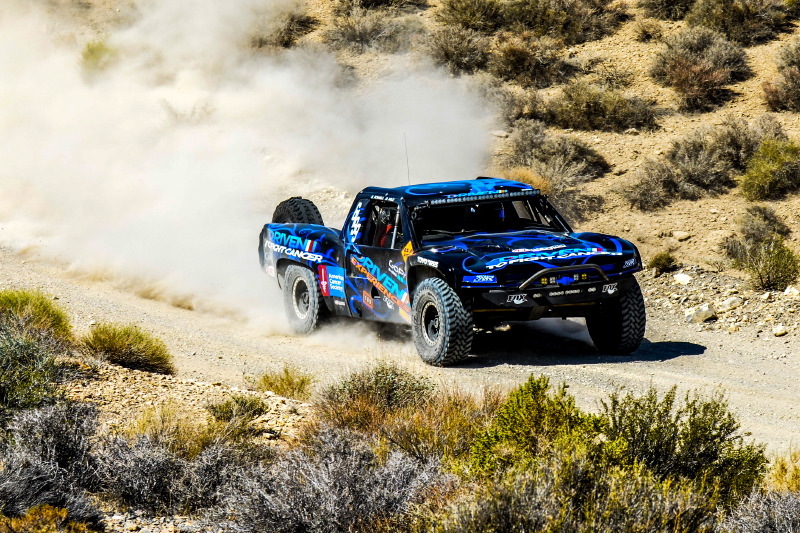 You can sponsor a mile or more of the Driven to Fight Cancer Trophy Truck team as they take on the SCORE International Baja 1000 starting November 14, 2014. 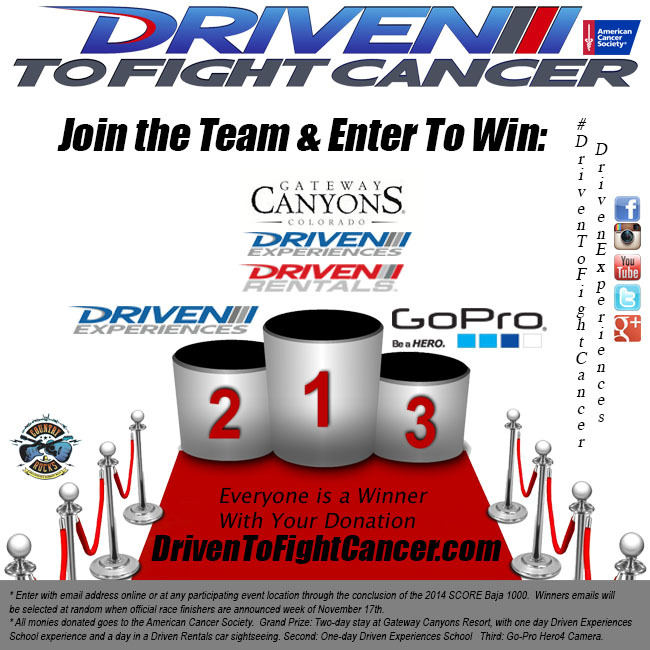 Driven Experiences is proud to team up with the American Cancer Society and their October Cattle Baron’s Ball event in this significant fundraising opportunity at www.DrivenToFightCancer.com. Your mileage donation can be a tribute to a cancer survivor or a dedication to never forget someone who lost the battle with cancer. While the truck is on display at this year’s Cattle Baron’s Ball event, there will be multiple Driven Experiences classes, Driven Rentals opportunities and Gateway Canyons Resort stays for bid at the legendary live and silent auction. The Cattle Baron’s Ball in Dallas hosts more than 3,500 guests and raises millions for the American Cancer Society each year. “Cattle Baron’s Ball in Dallas is honored to collaborate with Driven Experiences and the Driven to Fight Cancer campaign to broaden our efforts to raise awareness and funds for cancer research,” said Jill Tananbaum, Cattle Baron’s Co-chair and American Cancer Society volunteer. The American Cancer Society is a global grassroots force of more than three million volunteers saving lives and fighting for every birthday threatened by every cancer in every community. As the largest voluntary health organization, the Society’s efforts have contributed to a 20 percent decline in cancer death rates in the U.S. since 1991, and a 50 percent drop in smoking rates. Thanks in part to our progress nearly 14 million Americans who have had cancer and countless more who have avoided it will celebrate more birthdays this year. As we celebrate more than 100 years of service, we’re determined to finish the fight against cancer. We’re finding cures as the nation’s largest private, not-for-profit investor in cancer research, ensuring people facing cancer have the help they need and continuing the fight for access to quality health care, lifesaving screenings, clean air, and more. For more information, to get help, or to join the fight, call us anytime, day or night, at1-800-227-2345 or visit cancer.org.